Twin Cities Gamer: Angry Monks for Saga! Angry Monks can be included in any warband in Saga except ones that use Viking dice. After all, how would it look to have monks fronting a pagan warband? Unlike other levy troops, Angry Monks have a God's Shepherd's ability which allows them to generate a Saga die. Martyrdom means each time a Monk is killed during an enemy's turn, the owning player gets to take a Saga dice, roll it and place it on his Battleboard. They'll make an ideal screening force for non-pagan warbands. These Gripping Beast figures are the first batch of a new commission. As soon as I got these, I pushed my 15mm projects aside because I couldn't wait to start in. Loads of character in this crew; two thumbs up to the GB sculptor! I've been eyeing another Dark Age ruleset, Dux Britanniarum. Two Saga-sized warbands is all you need to run a campaign in the Age of Arthur as a Saxon Lord or a Romano-British Tribune. In the campaign, you gain fortune and reputation on the battlefield as you fight to defend or conquer the British kingdom. I'm really drawn to the chrome DB adds to what is otherwise a one-off game. To make the leap, I'll need to paint up Romano-Brits and Saxons. I've heard great things about TooFatLardies rules, so I'm really looking forward to giving this a spin! That monastery must make first class bean soup and ale . . .
That was an LOL. Extra portions for all! Nothing wrong with an angry monk or even monks, those really are quite nice sculpts and lovely painting Monty! These look great and sound like a fun addition. I''ve read only good things about DB and the adaptive campaign system. I've used a TFL set for ACW skirmishes and found their rules entertaining. Can't wait to see your Romano Brits and all the great AARs to follow. Thanks Iowa! Since all I need is 2 warbands that can double in Saga, it seems like an easy call. These look like they were fun to paint. Which one is Cadfael? Thanks Marcus! I had to look that one up. It might be an interesting series to watch. Greate paintwork on the monks ! Michael, very good suggestion! There were only 4 poses so I could sneak in more change-ups with weapons. Now I need to lay in a store of extra axes and swords! More to buy from Gripping Beast. A tsunami of superb monks will pour on our battlefields soon...great work Monty, some poses are really wonderful, and painting style, once again, excellent! I live the visual...a tsunami of Monks. Thanks Phil! Thanks Tamsin, I appreciate it! Those monks are great, full of character. Very nice work! I'm looking forward to hearing your thoughts on DB once you get the chance to try it out. Personally, I prefer DB over Saga but as you need to use the campaign system for the game to really shine, it certainly is a bit more "involved". Jonas! I'm looking forward to giving it a spin. We're firing up a Maurice campaign locally and I have to say, I love the elements a campaign brings to what is otherwise just a one off game. Dean! Yes, all bald or shaved heads in this lot. Your Empire army will have some holy men, I bet. And some amazing machines of war! Not your typical Christian monks with swords and axes! Very well done on these Monty! Exactly! I'm not sure what might have possessed them to pick up weapons. And surely it will end badly for them all. Perhaps the spirit moved them? Nice work Monty. I've got the old skool GB monks and they are a lot more sedate. These are cracking sculpts and you've done them proud. Hey Millsy! That just means you have "proper" monks. And thanks! Well done. These really are nice figures, I was adding them to the giant want list in my head as I unpacked the shipment last week. Thanks John! We all do our bit to keep the hobby flourishing, don't we? 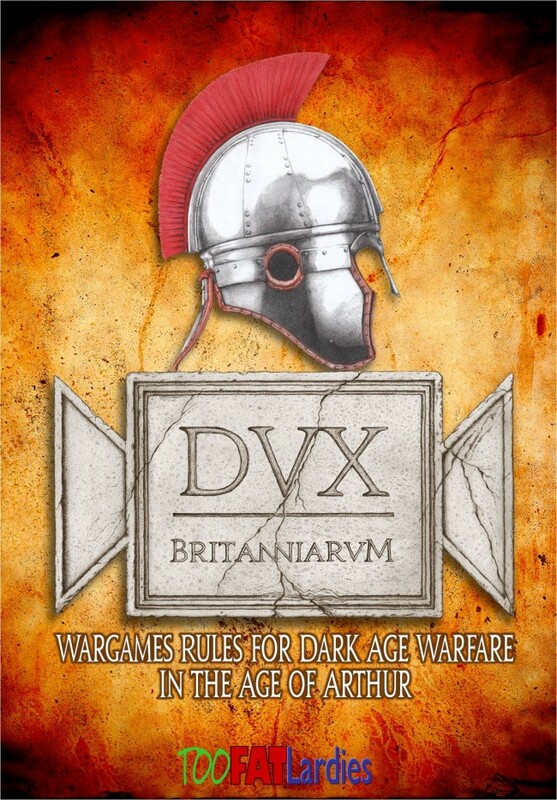 You can also use Dux Brit with vikings and saxons, it's been done before. Man are those great! Really love your choice of colours. Thanks Moiterie! I don't know that it comes through but I did go a little high/low on the base colors for each figure to sneak in a bit more variety. I think these look superb, especially their wonderfully characterful faces - top job Monty. What kind of acrylics are you using? Colors really look nice. I use mostly Vallejo, both Model and Game Color. I have tried other paints but the Vallejo are so reliable, I stay with them. Most excellent work on your cadre of padres, Monty! Really nice looking figures. Nice work, just finished them myself. Looking forward to playing them. They do look like they'll give your opponent pause, and maybe a headache as well! Awesome. Now that you have told me a little more about the rules for these maniacs I some how think I need them. Thanks Kiwi and welcome aboard!